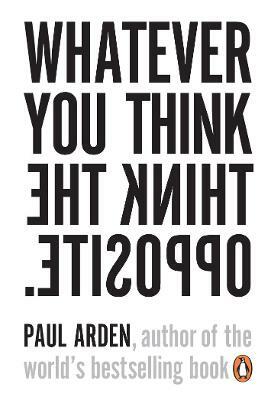 The bestselling author of It's Not How Good You Are, It's How Good You Want To Be Paul Arden turns logic and common sense on its head in Whatever You Think, Think the Opposite and gives you the confidence to take bigger risks and enjoy your work more than you can imagine. Have you ever considered the extraordinary power of making bad decisions, being unreasonable, and taking dangerous, unadvisable risks? Has it ever occurred to you that nothing is more dangerous than playing it safe, or that the straight and narrow path may lead you right off a cliff? Paul Arden has become a global business guru on the strength of such radical insights. 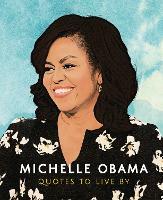 His first book, It's Not How Good You Are, It's How Good You Want to Be, became a word of mouth classic, selling more than half a million copies. Instead of the usual boring advice, he offered daring quips, aphorisms, and paradoxes - all seeking to revise what we habitually hold as our 'common sense'. Whatever You Think, Think the Opposite is an even more daring attack on the way we look at our work and our world. Whether you sell, manage, or buy, Arden will inspire you with his counterintuitive axioms, startling anecdotes, brilliant photographs, and offbeat quotations from artists, scientists, and philosophers. Whatever You Think, Think the Opposite will force you to rethink everything. And it will give you the confidence to take bigger risks and enjoy your work more than you can imagine. Paul Arden spent 14 years as the Executive Creative Director at Saatchi & Saatchi. He was responsible for some of the UK's most successful advertising campaigns - British Airways, Silk Cut, Anchor Butter, InterCity and Fuji. In 1993 he set up the film production company Arden Sutherland-Dodd. His first book sold over half a million copies. He has a weekly column in the Independent and recently opened a photographic gallery in his hometown, Petworth. 'Brilliant, bad, charming, irascible and totally off the wall, Paul Arden is an original with extraordinary drive and energy, blessed with a creative genius allied to a kind of common sense that just isn't, well, common' Roger Kennedy, Saatchi & Saatchi Paul Arden spent 14 years as the Executive Creative Director at Saatchi & Saatchi. He was responsible for some of the UK's most successful advertising campaigns - British Airways, Silk Cut, Anchor Butter, InterCity and Fuji. In 1993 he set up the film production company Arden Sutherland-Dodd. His first book sold over half a million copies. He has a weekly column in the Independent and recently opened a photographic gallery in his hometown, Petworth.